The sound, as always with ÉLAN, is impeccable. 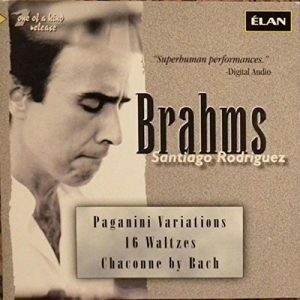 View cart “Brahms: Paganini Variations: 16 Waltzes; Chaconne by J.S. Bach, arranged for the left hand” has been added to your cart.